I am the beautiful Titania — queen of the fairies! My beauty and royalty was written about by Shakespeare himself, and I am the purr-fect depiction of your midsummer night’s dream. 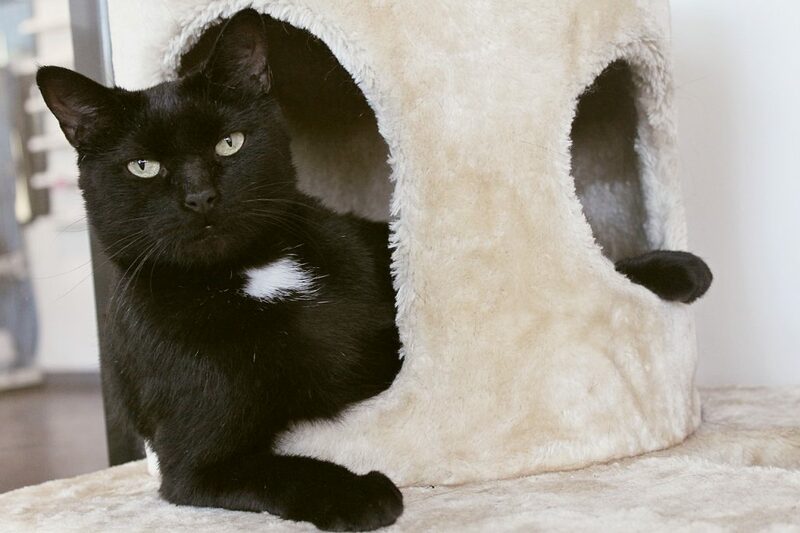 I am a very sweet and loving 5-year-old kitty who is a complete balance of playful, affectionate, and mellow. I have been very tolerable of the other cats in the Pixie cattery, and could probably adapt to other kitties in a home — however, I don’t really seem to bond with other cats and so I think I’d be happiest as your one and only queen feline. I seem pretty confident around dogs and am very good around children. Shortly after I arrived at Pixie, I showed the staff what a loving kitty I am, and overall I’ve adjusted very easily to life in a busy shelter. I’m a very go-with-the-flow type of cat, and I’m just looking for a family of my own to bond with! My magic will bring you joy for years to come — so please, come on down to Pixie to meet me! I can’t wait to create our own stories together! I come to you fixed, vaccinated, and micro-chipped for an adoption fee of $100.